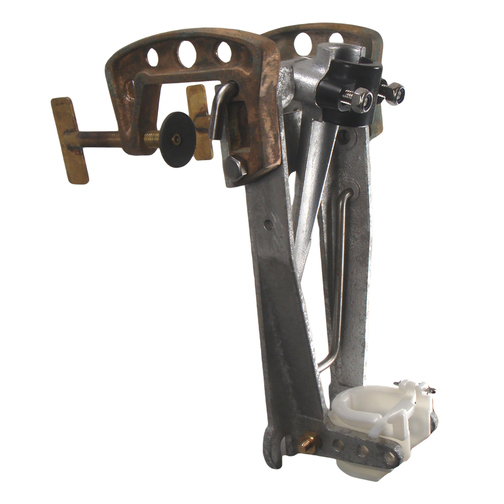 The British Seagull® Outboard Forty Series Clamp-On Detachable Engine Mounting Bracket is a complete mounting bracket for the Century Series & Model 102 engines. The British Seagull® Outboard Century Series and Model 102 Clamp-On Detachable Engine Mounting Bracket is a complete mounting bracket for the Century Series & Model 102 engines. Please Note: The British Seagull Outboard Century Series Engine Support Lug Complete is for illustration purposes only and does not come with the engine mount, rather it is sold separately at Sheridan Marine. Which British Seagull Outboards are these suitable for? This part is suitable for Century Series & Model 102 British Seagull Outboard engines fitted with the Clamp-On Detachable Mounting Bracket including LLS, W, CP, WP, CPC, WPC, S, WS, WSC, ESC, SP, SPC, WSPC, ESPC, AC, TC, WC, AD, TD, WD, ED, AHC, THC, WHC & EHC engines.